In this experimental episode of the News Feed, Mariah interviews Senator Lisa Murkowski about Title IX. Ammon investigates the world of Amtgard, a foam sword fighting and live action roll playing group. Also, Palestine faces a housing problem and gold fish take over a Colorado lake. 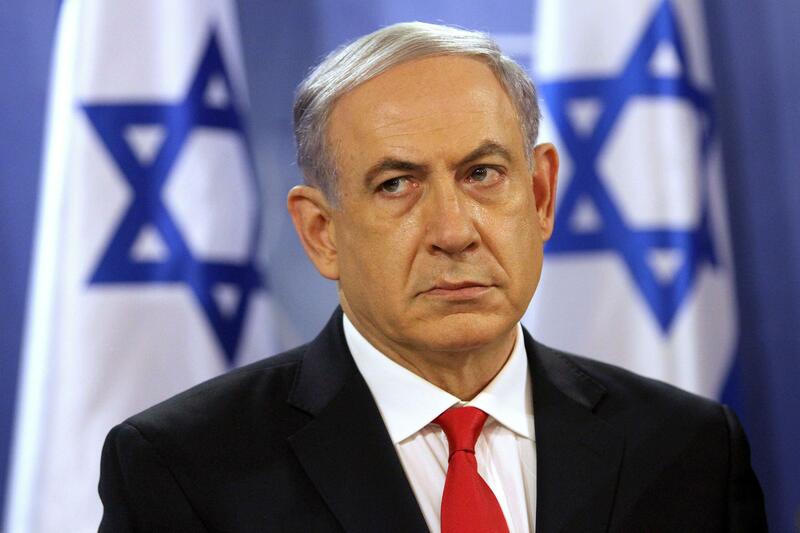 In this week’s News Feed we talk about the election in Israel and some reactions from the U.S., sick birds falling from the sky, and whats been going on in the world and at home. Mariah tells us about the sky bridge construction on campus and we also hear her interview with mayoral candidate Dustin Darden. Overcoming technical difficulties, this News Feed brings you your usual international, national, and local updates. Also, Mariah talks to mayoral candidate Dan Coffey as part of her new series where she’ll be interviewing as many candidates as possible before the election. She also produced a piece about Never Alone, an Alaska native based video game. This week we talk about the situations in Yemen and Ukraine, Walmart wage increases, some healthcare.gov issues, as well as local and UAA updates. 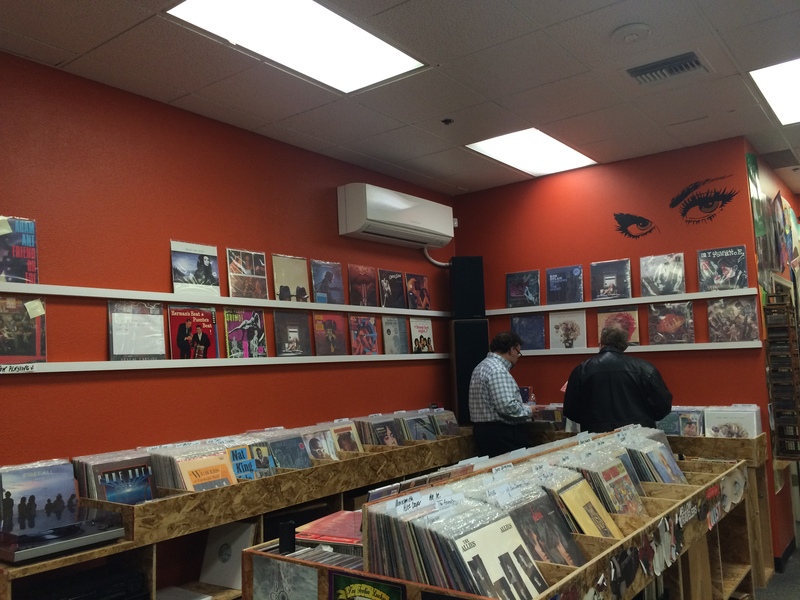 Mariah looks into the University of Alaska’s search for a new president and Ammon checks out Obsession Records, a new vinyl record store. Lots of UAA news for you this week. 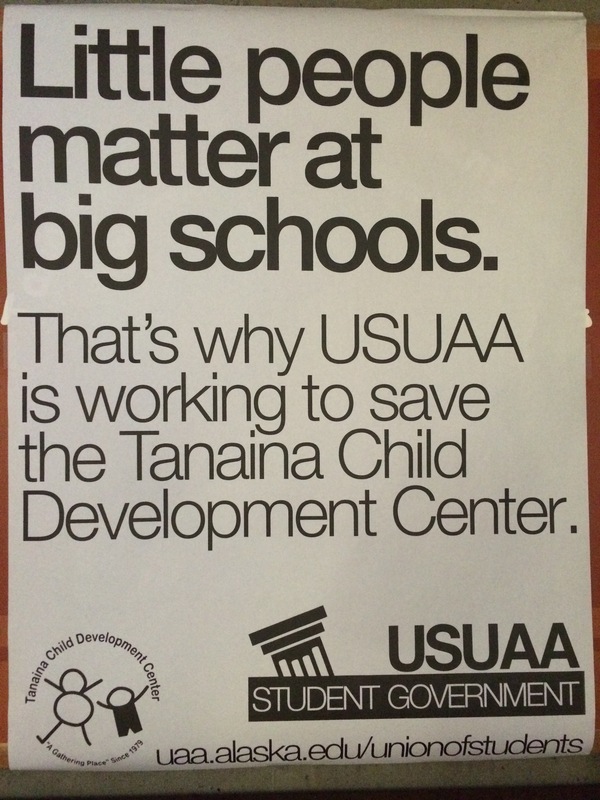 Updates on prioritization, Tanaina Child Develpopment Center, and alleged sexual harassment on campus. As usual we have updates from around the world including whats happened to the Islamic State hostages and world powers working towards ending the conflict in Ukraine. We also talk about what President Obama has been up to and of course, whats been going on in Alaska. All that and more. Check it out below. Some people have good years but others have great ones. Russian President Vladimir Putin definitely had plenty to check off his bucket list this year. Host a Winter Olympics? Check. Annex Crimea? Check. Become Time’s Person of the Year? Check that off Checkov. In this final episode of the News Feed for the year, we discuss whether or not this great year for Putin will translate into a bad year for Russians as the sanctions on Russia appear to be taking their toll on the Russian economy. Of course we still have the rest of the world to update you on including elections in both Israel and Sweden. 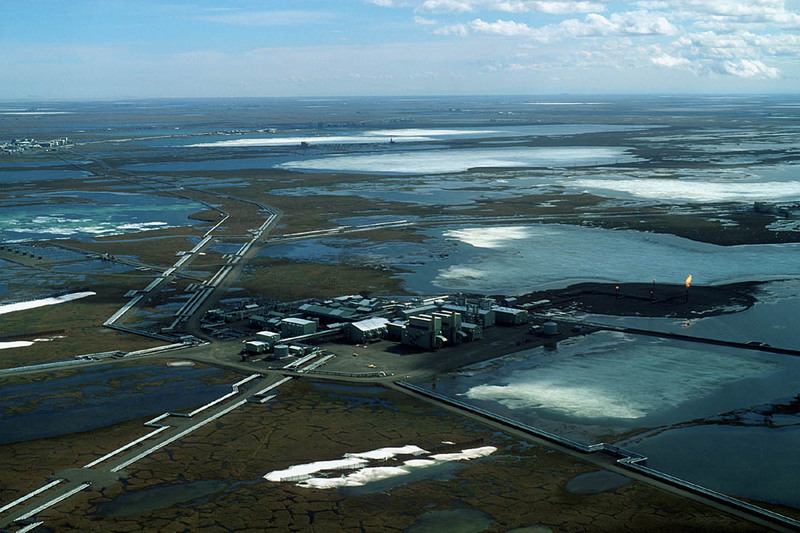 We also discuss local news and the increasingly interesting mayoral race that’s heating up in Alaska’s largest city, Anchroage. All of that and Ammon Swenson looks into whether or not students will be getting much utility out of the new Alaska Airlines Center. And be sure to tune into the News Feed this Friday for our Best of the Year episode! 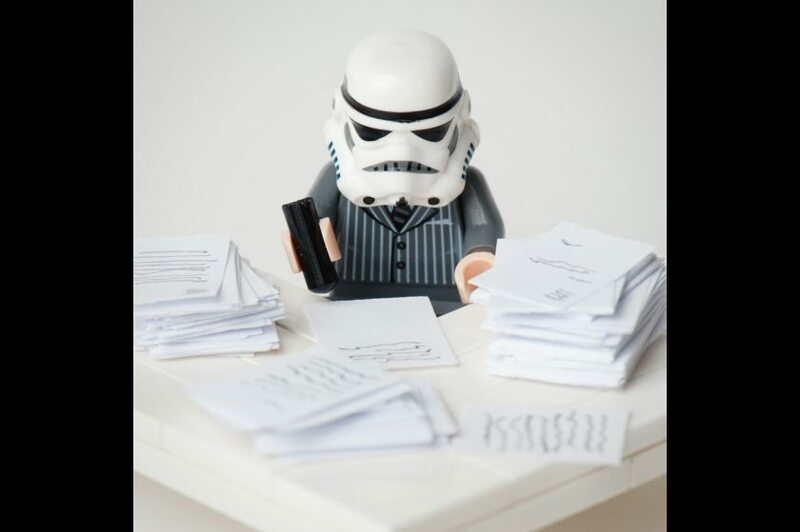 Stormtroopers are people too. At least that’s what we got out of the Lego exhibit Brick by Brick currently at the Anchorage Museum. If you’re tired of hearing about the elections, you can take solace in our story on the exhibit and popularity of legos on the News Feed from November 7th. But if you aren’t tired of the elections, we’ve got you covered as well with a story from the insanity of Election Central. We also go over everything that was happening both inside and outside of the U.S. during the midterm elections. 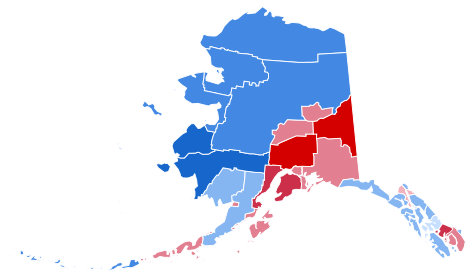 Also an update on the changes for Alaska after the midterm results. Check it out in the link below. You may have heard of our guest from our News Feed from October 24th. We have Bill Nye on the show to talk about the success of his show in the 90s, space, the future of science in the media, and more! 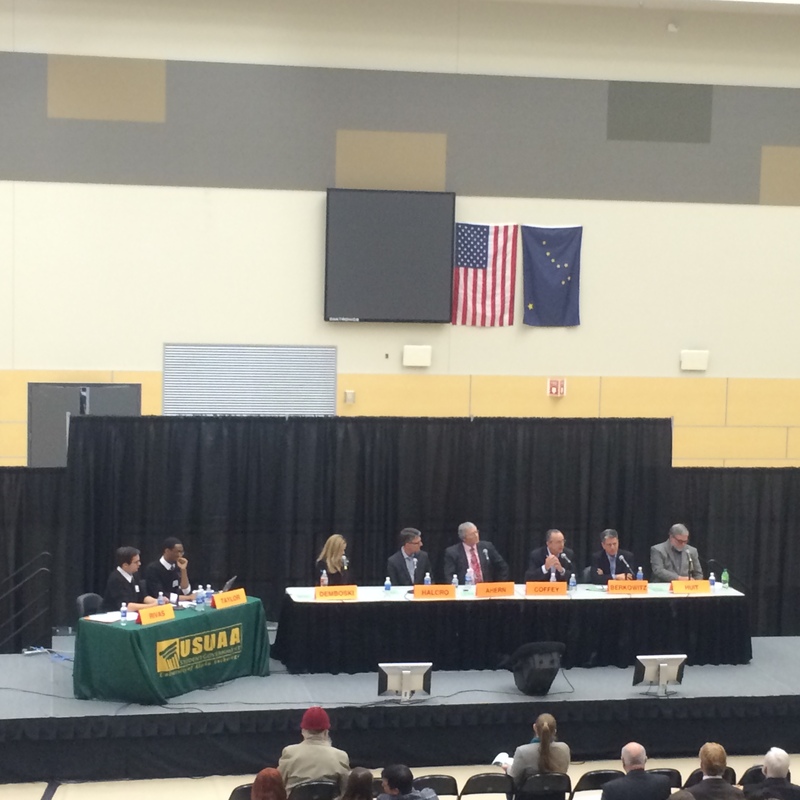 Also we have a story from News Reporter Ammon Swenson, who went to a debate hosted by the UAA debate team over Proposition 2, the ballot measure to legalize recreational marijuana. As well as a story from a student round-table where UAA students got the chance to express their concerns and suggestions to University administrators. We have that and more updates from the week’s news, both international and local on the News Feed from October 24th. If you want to see the video of our interview with Bill Nye the Science Guy, you can check it out in the link below. The video was produced by The Northern Light. Get seriously informed with KRUA’s weekly broadcast of the News Feed and look forward to a new episode this Friday at 4pm. While the November elections may seem like some what of a distant prospect, the campaigns are in full swing. That’s why we had UAA Professor of Political Science Dr. Forrest Nabors level with us about current state of Alaska’s campaign season and our state’s place in the battle between Republicans and Democrats over control of the US Senate. We get realpolitik on News Feed with that and our usual wrap on the week’s most important news developments. 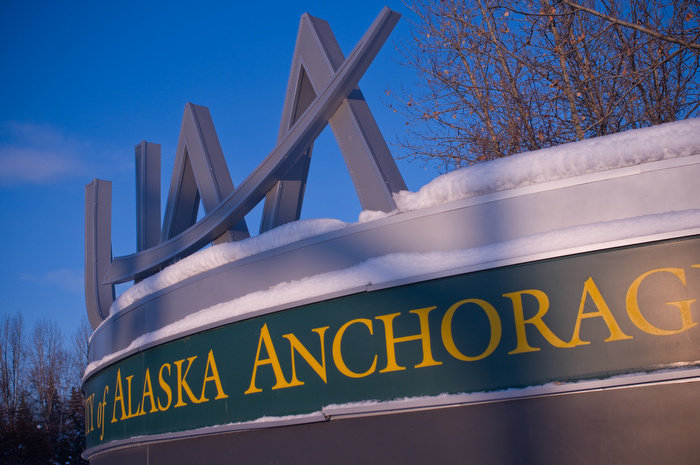 Also featured is a story explain why kids may be living in the dorms at UAA this November. There is a lot of construction on campus. 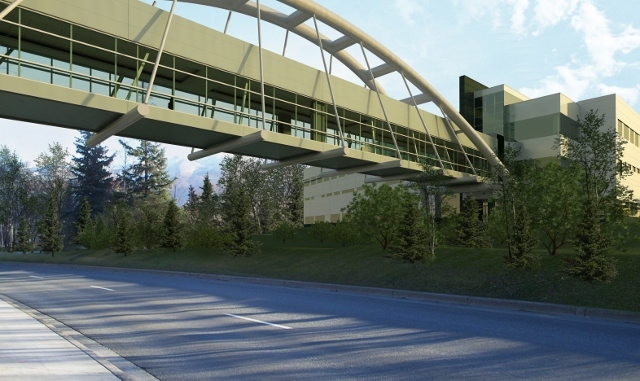 Between a new sky bridge, a new engineering building and the recently opened Alaska Airlines Center, the University of Alaska Anchorage is going to look very different in the years to come. In last week’s News Feed, we cover construction and parking and the problems and benefits it creates for students. You can catch that and more seriously informative updates on the week’s international and local news on the News Feed. 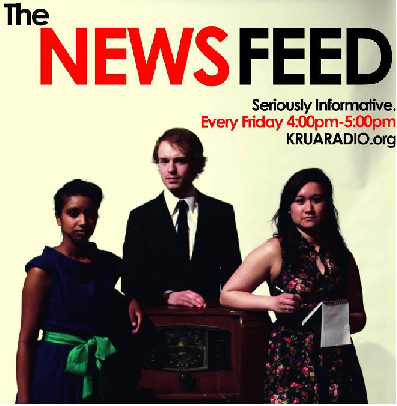 Be sure to tune in this Friday September 19th at 4pm for another episode of the News Feed. KRUA’s broadcast radius: everyone in this area was immediately seriously informed by the News Feed’s Broadcast last week. Well its here and we might as well accept it; classes have started and the Fall semester has begun. 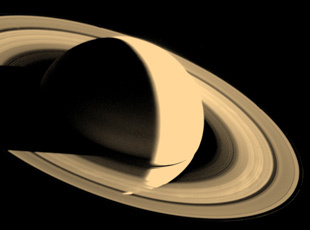 If you are feeling a little out of the loop after the long summer, catch up with the News Feed. This episode featured updates on a variety of international and local issues including an interview with UAA Accounting Professor Dr. Patrick Fort regarding prioritization. He explains his perspective on the review process of prioritization and shares his doubts on whether the process was truly conducted without bias. You can hear all of this and more in the link below. Be sure to tune into the News Feed this Friday at 4pm for shortened half-hour episode for all those with short attention spans. We will return to our regular hour long format next week. Ebola is terrifying but also incredibly interesting. If you missed out on last week’s News Feed you can catch it here on the link below. 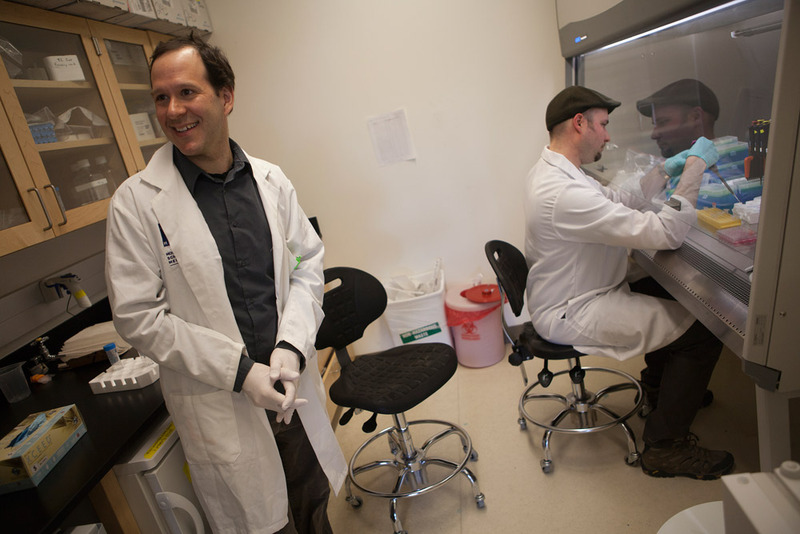 We discussed the current Ebola outbreak in West Africa with UAA Virologist Dr. Eric Bortz. Dr. Bortz discusses the unique features of the Ebola virus and the difficulty of combating the spread of the disease in under-developed countries in West Africa. You can hear this, an interview regarding prioritization, and an update on the University with Student Government Stacey Lucasson in our News Feed from Friday August 22nd. If you missed out on last week’s News Feed, you can find a link to our program from August 8th below. On that Friday we started things off with an interview with a representative of the main group in opposition to Proposition 1 or the repeal of the governor’s oil tax cuts. We also have a story on the Former Dean of the College of Engineering suing the University and the Provost for wrongful termination and discrimination. As well as even more debate on oil tax reform and a profile of the new Coordinator for Student Clubs and Greek Life. From the mystery of Beijing politics to unexpected interviews with state senators, the News Feed from last week was an interesting one. Last week we started off with an interview with State Senator Bill Wielechowski regarding his opposition to the Governor’s oil tax cuts in SB21. We are also talked to Mike Smith from the UAA Admissions office. He explained the new pilot program known as “Come Home to Alaska,” which gives non-residents in state tuition if they have a parent or grandparent living in the state. You can hear that and our usual wrap up of the week’s news in the link below. And be sure to tune into the News Feed Friday August 8th at 4:00PM for the other side of Proposition 1 and so much more.